The implementation of electronic health records (EHRs) in medical practices and healthcare systems nationwide has been quite the challenge. While more physicians and hospitals are using EHRs than ever before, many are not using them to their fullest potential. The purpose of EHRs and other health IT systems is to reduce administrative errors, increase profitability, ensure privacy, and ultimately improve patient health outcomes. But with the increased dependency on technology in the doctor’s office and regulatory pressures for practices to comply with EHR standards of meaningful use, physicians risk losing patient engagement. How can family physicians meet meaningful use guidelines while effectively engaging with patients? In order for physicians to improve patient engagement, they will first need to raise their patients’ interest in taking control of their own health. This may be a difficult task to achieve considering that patients are already feeling crunched for time during doctor appointments. With visits lasting 16 minutes or less, physicians may not be able to give their patients the best health advice possible. What’s more, is that the technology that is meant to improve patient interaction has been proven to be more of an inconvenience. Physicians have noted that EHRs actually interfere with face-to-face interactions with patients. 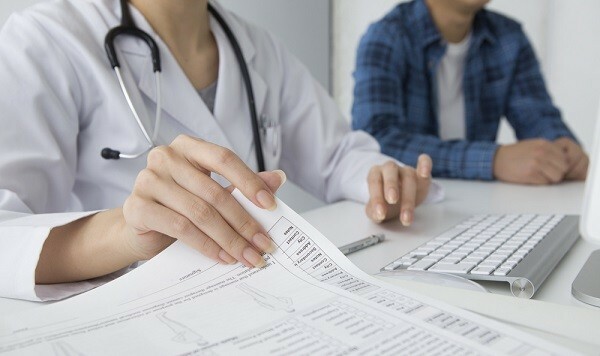 There’s no doubt that digital health records have an inherent value when it comes to collecting patient data and coordinating care, but it comes at the price of reduced time for “real” patient care. AAFP President Robert Wergin, M.D. spoke at a Senate Committee hearing in March on how EHRs both help and hurt physicians. Wergin stated that “Family physicians were early adopters of health IT because we saw the potential for improving patient care, and we still see that potential.” Unfortunately, Wergin noted that physicians who have implemented EHRs spend more time on tasks that do not involve patient care. Senators at the meeting acknowledged that the regulatory burdens of meaningful use compliance coupled with heavy vendor competition has hindered the doctor-patient relationship. When physicians spend more time checking off boxes at a computer than connecting with their patients, they risk losing their clientele, which can severely effect a practice’s bottom line. While EHRs have been blamed for a decline in patient interaction due to physicians’ increased screen time, when used properly, EHRs can create a more collaborative form of patient care especially for medical homes and telemedicine technologies. However, implementing an EHR plan has been a daunting process for many practices who are still learning the ins and outs of these systems. Without proper planning, the entire process (which is both expensive and time-consuming) could result in productivity loss and a reduction of patient volumes. To complicate matters, practices are trying to integrate these systems into their practices under the threat of penalties and lost incentives. For 2015, physicians who do not adopt electronic health records and meet meaningful use requirements will lose 1% of their Medicare payments. In 2016, the penalty will increase to 2%. According to the Centers for Disease Control and Prevention (CDC), in 2011, 47% of physicians who adopted an EHR system were only somewhat satisfied with their system. Between the high cost of purchasing the software, training staff, and engaging patients, some physicians don’t find their EHR systems to be worthwhile. Effective use of EHRs has been slow due in part to the shortcomings of poorly optimized systems and inefficient implementation processes. While adoption has increased – and will continue to do so under the watchful eye of the federal government – how to effectively use these products is still an ongoing issue for many physicians and hospitals. To address these challenges and open a dialogue of how to ensure EHR meaningful use across the board, medical associations, thought leaders and policymakers will need to work together and provide actionable recommendations for how to solve the problem. In the meantime, make the most out of your current system by appointing a staff member as the chief EHR user to help the rest of your staff navigate the system, encourage patients to engage with you and your practice via your patient portal (if you have one), research other EHR vendors if you find your current vendor is underperforming, and review EHR data for accuracy and meaningful use. While these are small steps in a large and complicated process, it’s a step in the right direction.